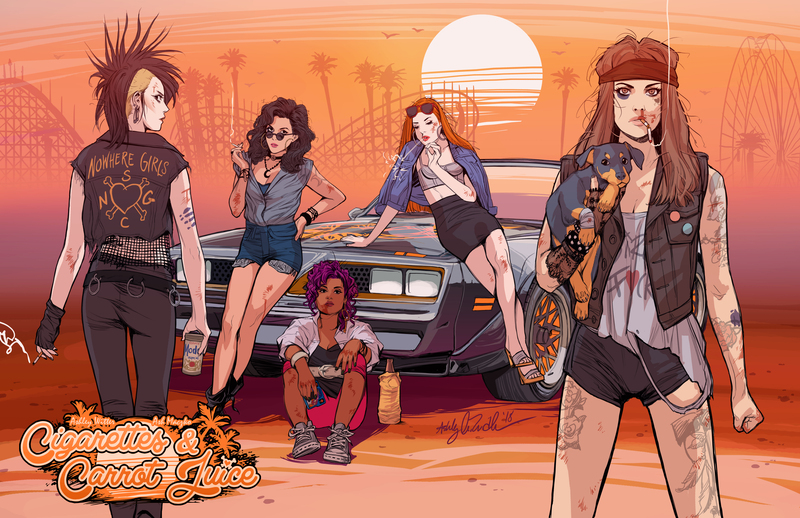 "An all girl gang rumbles with vampires, witches, and surf Nazis in 1980’s Santa Cruz." Kitty Williams! published on January 10, 2018 Read more posts by the author of Kitty Williams!, tazycrazyNo Comments on Kitty Williams! 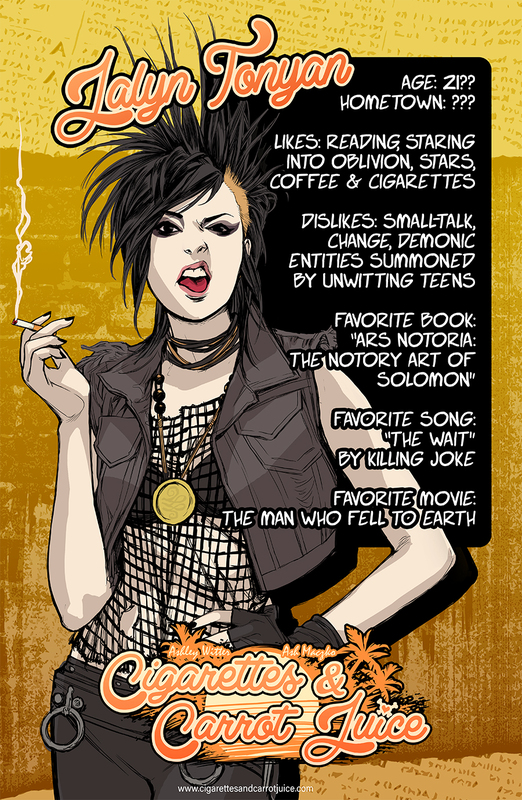 Here is our first (of 5) character spotlights that will be released every week until the start of the series! 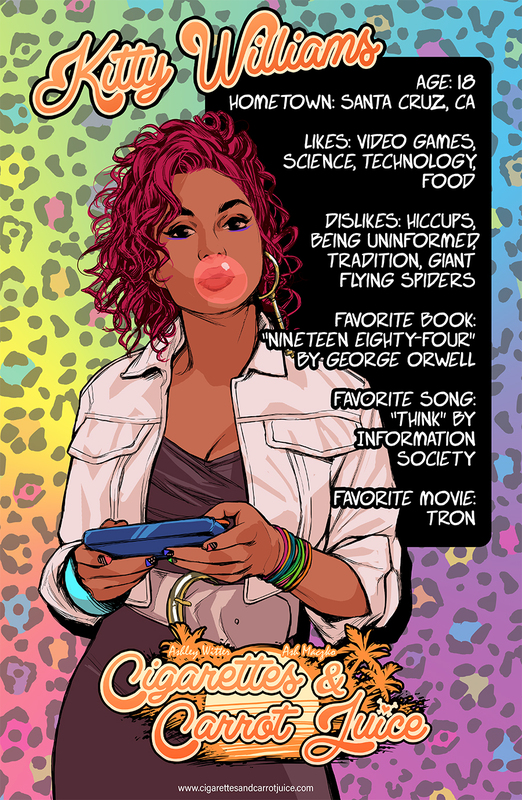 Introducing, Kitty Williams! 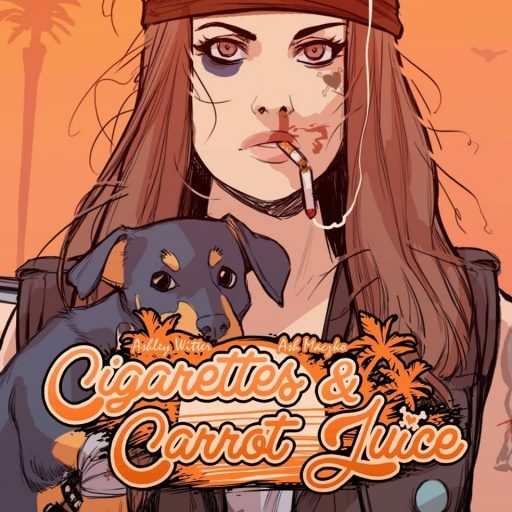 Cigarettes & Carrot Juice releases Valentine’s Day (2/14/2018) on multiple publishing sites like Smack Jeeves and Tapas! 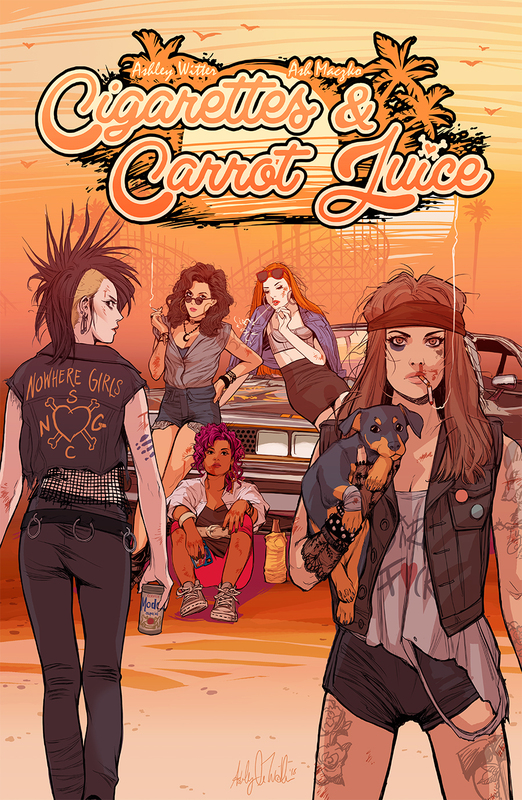 In 1980’s Santa Cruz, a gang known as The Nowhere Girls defend their home turf against rival gangs that include vampires, witches, werewolves, zombies, and other manner of supernatural beings. In between rumbles, The Nowhere Girls deal with other day-to-day gang operations like recruitment, making money, and trying to break the dark curse that’s consuming the boardwalk. 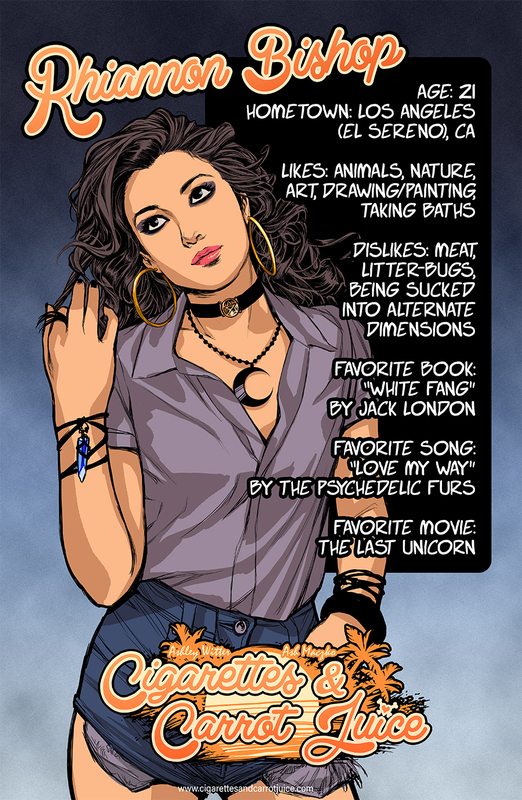 Ashley Witter is a talented illustrator at the helm of the Squarriors comic book series, which received an adaptation into Squarriors: The Card Game on Kickstarter in 2017. Witter’s work spans from comic book covers like Harley Quinn, Red Sonja, Star Wars: Doctor Aphra and more. This isn’t Witter’s first experience with a webcomic series, having successfully launched Scorch on Kickstarter with Devil’s Due Entertainment in 2015. 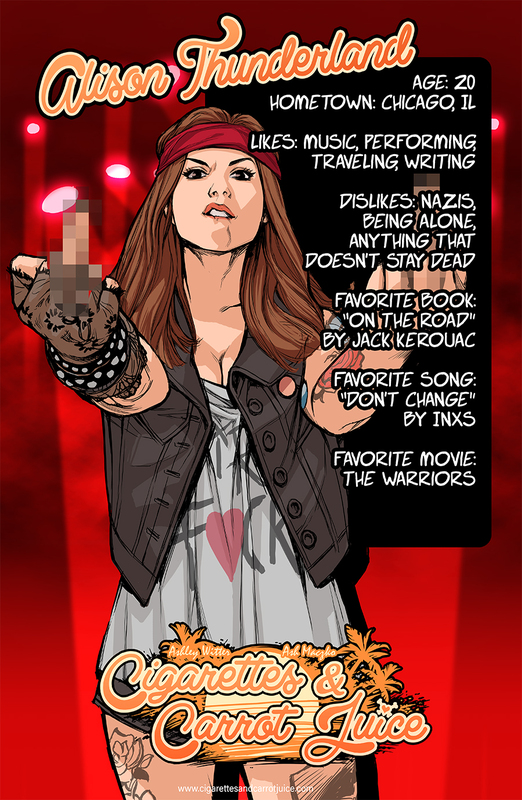 The writing talent behind the comic book series, Squarriors, is Ash Maczko. Maczko spins a brutal tale of survival and war in this compelling series and is the lead developer behind the conversion of the comic book into a competitive card game. Squarriors: The Card Game showcases the savagery and tactical prowess of war in a tabletop game launched on Kickstarter.